Holburne Park is a bespoke residential development, located in Bath and comprising the construction of 106 apartments and 65 homes. The works are being carried out to a very high specification and include all associated infrastructure and external works. 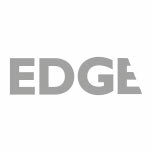 EDGE has been appointed to provide Quantity Surveying and Principal Designer services. The site is located on a slip plane with challenging topography and therefore the infrastructure works to date have included a piled road, highway support slab and piled retaining walls to enable the development. Works also include service connections, highway adoptions, significant attenuation works, surface water outfall to an adjacent canal in conjunction with the Water Board and Section 278 works. The apartments and houses are constructed in bath stone and contain bespoke kitchens, bathrooms and finishes. EDGE is involved from inception through to completion and services provided include cost planning, tender analysis, production of tender / contract documentation, valuations, change control, cost reporting and the agreement of a final account. Previous experience of working with challenging topography has enabled us to provide accurate cost advice to inform the decision-making process. Production of clear and concise tender documentation which detailed sectional completions and constraints around S278 works, stockpiling of material, outfall works to adjacent canal and specific welfare/ traffic management requirements during an initial period of sharing the site with another contractor.